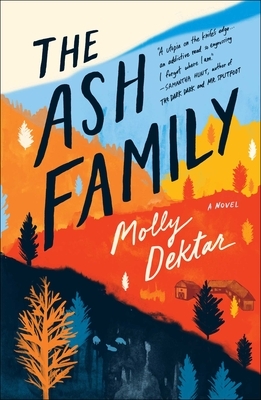 "Lushly written, psychologically acute, Molly Dektar’s The Ash Family captures what it’s like to be nineteen in America now: idealistic, easy to prey on, at the mercy of forces greater than oneself. It’s a marvelous debut, riveting from start to finish." "The Ash Family delivered me into a utopia on the knife’s edge—the glory of living holistically in North Carolina’s majestic wild lands, is cut with a toxic mix of narcissism and magnificently bruised characters. Dektar’s unstoppable tale of a country beyond is an addictive read so engrossing I forget where I am. I forget who I am, a surrender so sweet in her able hands." “The Ash Family is a suspenseful and atmospheric exploration of escape, idealism, and community, a captivating ode to the quest for something more. Molly Dektar writes with great nimbleness and insight, and her debut novel marks the arrival of a wonderful new talent." "[A] lyrical debut...Dektar’s deft construction of the Ash Family’s world and their environmentalist values brings a meaningful new story to the canon of cult narratives. Perfect for fans of Philip Roth's American Pastoral (1997) and the film Martha, Marcy, May, Marlene." "The novel shines in its thoughtful portrayal of cult members' (likely) complicated feelings: devotion, love, fear, desperation, and purpose. An affecting, cleareyed debut." "Excellent...[Dektar's] carefully considered prose makes the reader tumble into this book like a well and emerge breathless...This trip off the grid is a pleasure to take." "Dektar’s powerful tale of the human desire for purpose and acceptance takes many twists and turns on a roller-coaster ride to the thrilling, unpredictable conclusion." "If Wild Wild Country was your number one Netflix show of 2018, then you'll love the story of Berie—a 19-year-old who finds belonging in an off-the-grid (and dangerous) collective instead of her freshman dorm."